Howard Natural Wood Cleaner & Polish is an emulsified formula that gently cleans water-soluble grime as well as oil-based dirt. 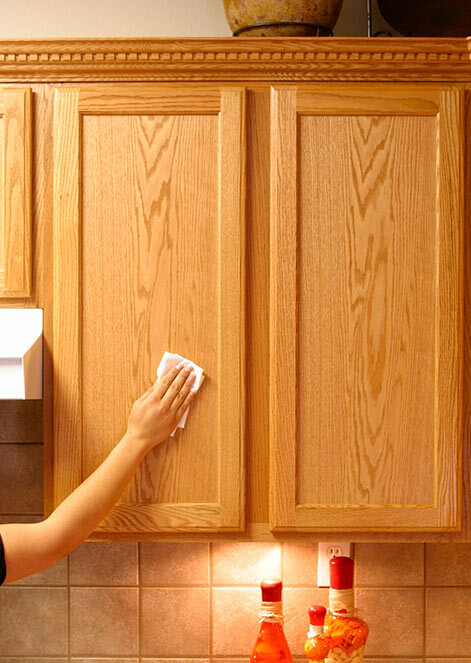 Easily cleans and polishes all types of wood finishes without using harsh chemicals. 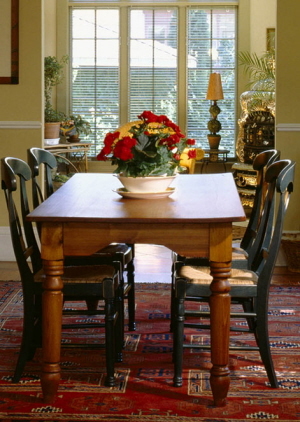 Dust, clean, and polish all wood surfaces without using harsh smelling chemicals. The natural polishing oils enrich the patina and beautify furniture, antiques, cabinets and all wood finishes. 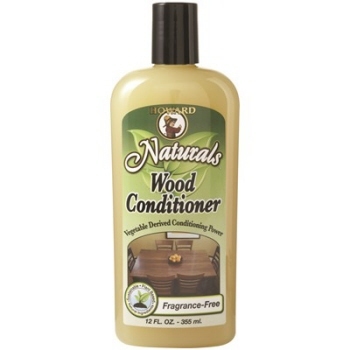 Available in - Fragrance Free & Lemongrass-Lime. 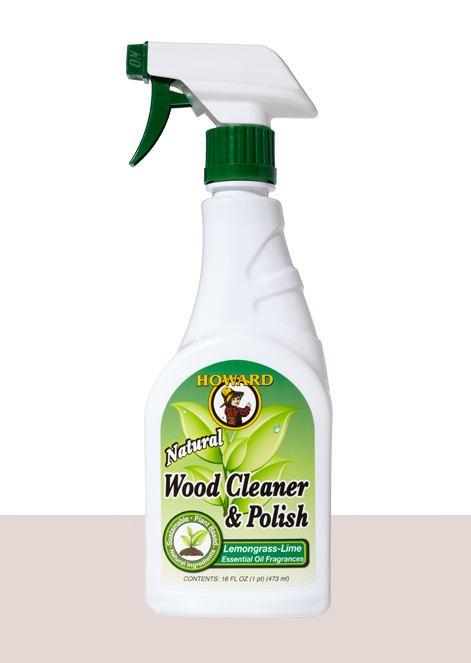 As with the rest of the Howard Naturals Furniture Care Collection no petroleum distillates, or silicone oils have been used and we have added specialised blends of essential oils to provide the benefits of aromatherapy. 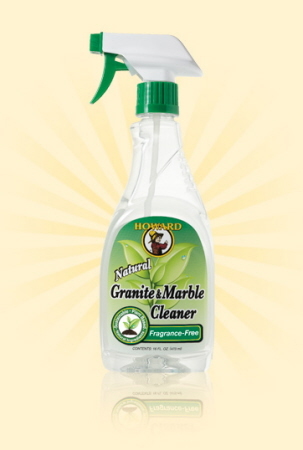 The Howard Naturals Furniture Care Collection is our first series of simply the best-smelling, most effective natural cleaning products on the planet! We invite you to redefine your scents of clean. 1. Lightly shake the bottle. 2. Spray cleaner onto a soft cloth. 3. Wipe away the dust, dirt, and even grime. 4. 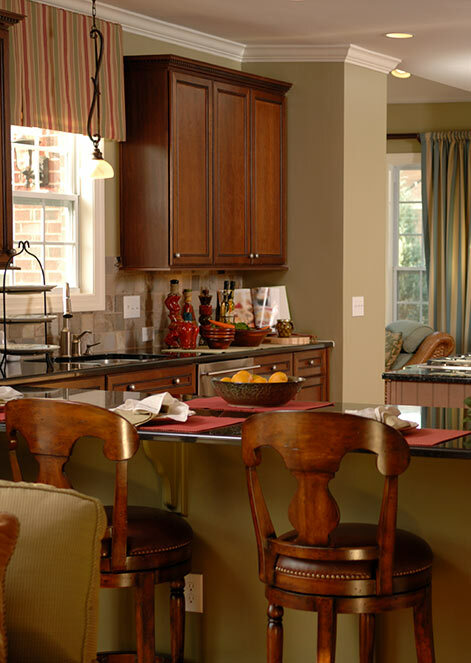 Using a clean, dry cloth, immediately wipe off excess and polish to a rich luster. 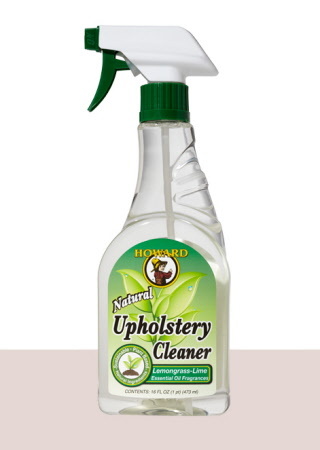 Howard Naturals Upholstery Cleaner easily breaks down stains and spills on all types of upholstery, fabrics and rugs.